From holding online classes to professional meetings and webinars, Zoom provides reliable video, audio and chat functionality for your online communication needs. 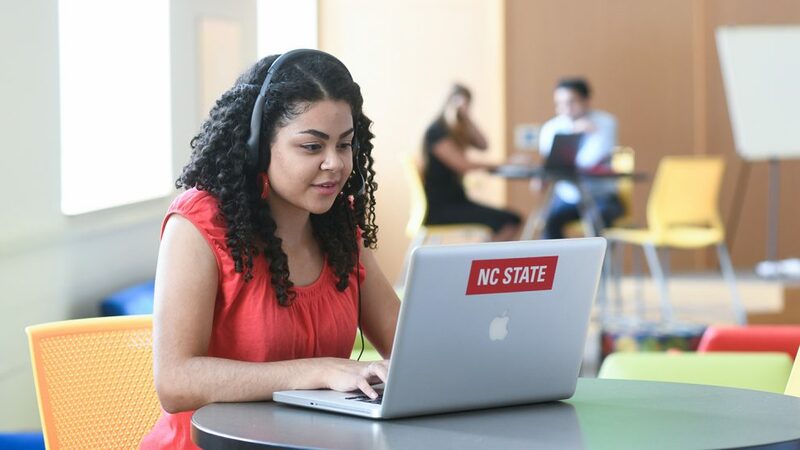 Check out how users across NC State are taking advantage of Zoom and how the tool can benefit you. Zoom is a one-stop shop for a variety of your online communication needs. The video conferencing application can be used for online meetings, webinars, chat, mobile collaboration and more. Now an enterprise-level tool, Zoom is available in the WolfWare suite of tools to support academic needs related to synchronous video communication and collaboration. A Zoom Pro account is available to all NC State users who have an active NC State email address. For College of Design Assistant Professor Traci Rider, Zoom serves a variety of purposes including holding meetings with her online students and advisees and recording lectures. From large meetings to one-on-one sessions, Zoom helps promote communication among a variety of participant sizes. In the Center for Geospatial Analytics, Teaching Assistant Professor and Associate Director of Professional Education Eric Money uses Zoom for a wide range of activities. Money noted Zoom is very easy and intuitive from both the instructor and student perspective. “I haven’t used all of the features of Zoom yet, but I think one of its biggest strengths is the ease of joining sessions for students and the cloud recording ability,” he added. Zoom’s versatile functionality makes it the perfect tool for users inside and outside of the classroom. At NC State Extension, Zoom serves as a way for colleagues spread across the state to meet in real time. 4-H Healthy Living Coordinator Salim Oden uses Zoom to meet with and train Cooperative Extension agents from across the state. He uses Zoom in place of face-to-face meetings when people are unable to be in the same place at the same time. “Zoom’s interface is user-friendly and doesn’t require training to understand how to navigate the system to meet your needs,” said Oden. He noted the ease of setting up meetings has been beneficial as well as holding large group meetings without complications. Valerie Schwartz, head of admissions at the Institute for Advanced Analytics, uses Zoom as a tool to conduct interviews with applicants to the Master of Science in Analytics program. For Schwartz, Zoom’s ability to sync seamlessly with both Google Calendar and ScheduleOnce, the platform that applicants use to book interviews, is essential. “I also appreciate that Zoom shows thumbnails of every participant in the conference for the duration of the event, as some tools I’ve used show only the person who’s speaking,” she added. 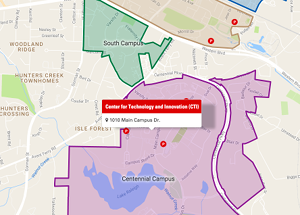 Visit ncsu.zoom.us and login with your NC State email account. You will automatically have access to Zoom Pro capabilities. Attend one of our workshops to learn more about Zoom. If you are a previous user of Blackboard Collaborate, join us for Moving from Collaborate to Zoom to help with the transition. We also offer Teach from Anywhere with Zoom for an introduction to the tool and a review of tips and best practices. Join the Google Group for the latest updates about Zoom at NC State as well as for questions and answers from colleagues. You can also visit the Zoom enterprise implementation webpage for more information. Contact the LearnTech help desk by emailing learntech@ncsu.edu or calling 919.513.7094 if you have questions or need help getting started!